Ten years ago, on 6th February 2007, Fall Out Boy released what would go on to be their most commercially and critically successful album in their lengthy discography, Infinity on High. Released through Island Records as the band’s follow up to the acclaimed From Under the Cork Tree, Fall Out Boy’s third album boasted now-iconic hits as ‘This Ain’t a Scene, It’s an Arms Race’ and ‘Thnks Fr Th Mmrs’, which both soared to the top-spot of the U.S. Billboard 200 upon release. Five of the album’s fourteen songs were released as singles throughout 2006 and 2007, led by ‘This Ain’t a Scene’ which charted at number 2 on the Billboard Hot 100. The album is often taken to be an allegory for the band’s rise to fame and the subsequent pressure of the limelight, with some critics noticing that Pete Wentz’s (bassist and then-lead-lyricist) lyrics were ‘oftentimes resentful’ and ‘full of fame-induced angst’, stressing ‘his need to drive home his position that stardom has not changed the band.” Wentz calls album opener ‘Thriller’ the ‘most narcissistic song on the album,’ which references the band’s mediocre reviews and breakout success, thanking their “diehard” fans. In contrast, ‘This Ain’t a Scene’ uses war-inspired metaphors to mediate their newfound popularity and anxiety. Marking a dramatic change from From Under the Cork Tree, Fall Out Boy departed from their solely pop-punk/emo brand and hit a myriad of genres, instruments and collaborators which would make Infinity on High one of the most varied and acclaimed albums of the year. Featuring a now-classic introduction from Jay-Z (‘Thriller’), a swarm of horns and violins (‘I’ve Got All This Ringing In My Ears and None In My Fingers’, ‘The (After)Life of the Party’), and a pinch of R&B with the influence of co-producer Babyface (‘I’m Like a Lawyer with the Way I’m Always Trying to Get You Off (Me & You)’), as well as all the older FOB elements, Infinity on High marked one of the biggest transitions, and celebrated pay-offs, of the band’s career. The album’s title, taken from a letter from Vincent van Gogh to his brother in 1888, references van Gogh’s exclamation of his renewed health and the positive effect it had on his painting. It isn’t difficult to see the relation between such a title and the album’s songs, the band rising above their detractors, still acknowledging their humanity, whilst looking forward to a celebrated future. ‘And I saw God cry in the reflection of my enemies/ and all the lovers with no time for me’ (‘Golden’) contrasted with the ‘I’m a stitch away from making it’ (‘The (After) Life of the Party’) is just one example that reflects such a human-natured paradox which defines the album. 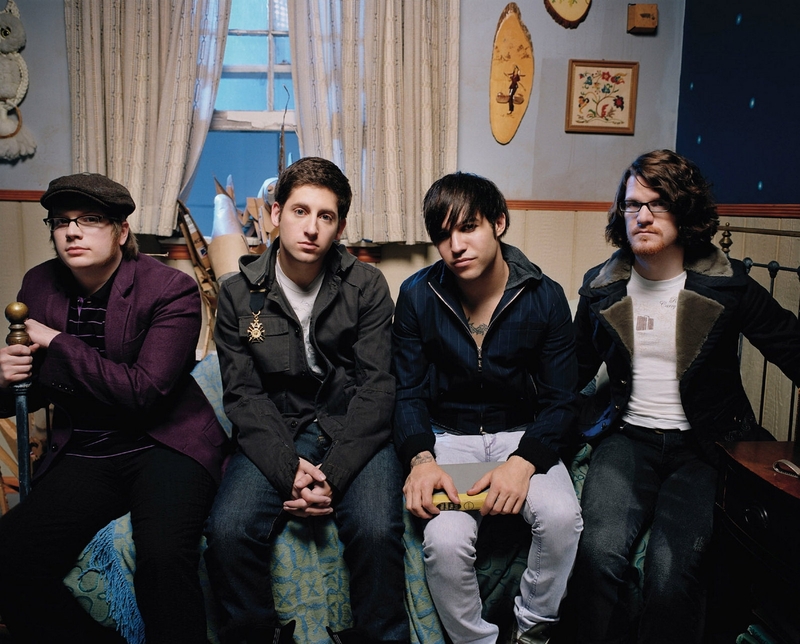 As a result, Infinity on High proved to be the most accessible, yet the most ambitious Fall Out Boy have ever been. “But first and foremost it documented this blur that had become our lives. This record more than any of the other has always reminded me of night time – both the anxiety of insomnia and the peace of being awake when everyone else is asleep. I remember before we released it I used it like a security blanket, listening and trying to fall asleep. I really appreciate everyone who gave this one a chance.” – Pete Wentz.